time passed in those 4 years like the sun in rain storms, a quick flash of misery. i gave up all my hope in life and passion. like a biger storm or like a car accident... it happens so quick and you dont even notice it. i got introduced into mountain biking.... by my self or coinsidens. and made 3 short stories writen in a poetic way... it was my autobiography,unpublished. i want to give this fire to others, stucked in misery. just as much as i can imagine that voice saying the thing i have to say in my projekt. @davidpr2 you're not alone! I've in depression for 3 years because of a rejection and the way I felt so displaced in my family and in the world.... and I got to say... One of the only things that kept me going, even when I didn't wanted to, was that I was able to ride my back every weekend. All my problems are gone while I'm riding. It's easy (not so easy) to say that mtb is something special. But it truly is. It just feels right, like it's a part of me. Riding a bike feels effortless because it's what we truly love and what connect us to the real purpose of life making us feel alive. Keep riding mate! And ride faster every day. The best thing is- that I totaly forget that invention "Time"
Thanks for sharing. It's really important to say these things out loud sometimes among friends and strangers. It motivates us to not recede back into the darkness or deny how serious depression is. The energy of others knowing and caring can be super powerful. Keep riding and feel free to tell us fellow PinkBikers if you are hurting. You are not alone buddy. Stay with us and on your bike. He will take you on life journey! This is my exact story as well. @davidpr2 Amazing story. Truely inspirational. I hope there are more people like you, and that others who aren't, learn from people like you. It takes dedication and passion to get over something that tears apart many peoples lives. If you ever publish a poem, or the project you were working on, please share! It could be a massive motivation and inspiration to others alike! Like others have said, we're here to support you, and so is your bike! Thank you, and in deed i am curently working on my project wich i named no way back the biography. It is about my depression but i try to aim it on the way out. I published a trailer out of everything i had left in my hands as i lost a massive amount of material. Feeling devastated i worked hard to put *some* content out. I am curently visiting my familiy in Colombia wich gave me lots of inspiration! And i am more then exited for me to get back behind the more commonly seen mix behind camera and bars. Thank you for the reply @davidpr2! I've got family who used to live over in Columbia, heard it's an amazing place! Losing material is terrible, but we learn from our mistakes! Hope you're having a great time in Columbia with family. I really look forward to seeing what you produce! Just like everyone else has said. You’re not alone. I dealed with depression a couple years ago and every now and then I’ll still get a little depressed. I loved mountain biking so much then even when my bike wasn’t workin I would take my BMX bike down to the trail and rip around a little bit. I just got a new mountain bike so I can really ride now ???? but that’s not the point. Every time I rode it’s like everything just disappeared and all I was focusing on was the trail. Whenever i feel down and hopeless I just leave he house and go on a ride to calm myself. Like last week I just found out my dog had cancer and had at most 6 months to live, after that I just left the house and rode all day, I didn’t even take the time to fill water i just left. I don’t think it’s the thrill or adrenaline of mountain biking that fixes the soul, i think it’s the environment and all the sounds and things you see like the trees and just being around nature that fixes the soul. But long story short, it happens to everyone at some point in life but everyone you know and me are very happy you found something that made you happy, just keep riding and you’ll be good???????? 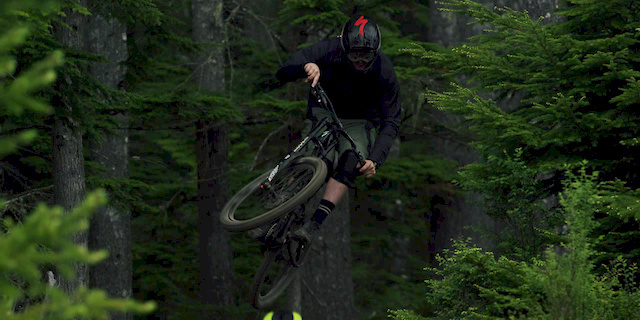 By far the best vibe I've gotten from a MTB video in a long time. Everyone's got their own taste and the super intense vibe stuff is great too, but this simple piano thing is really, really hitting the spot for me. in between raw and full on music. 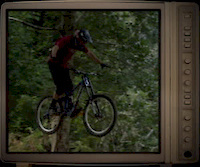 lets you focus and appreciate the riding more, at the same time having a song to make the video really entertaining. SRAM [Can't] make Perfect videos. @SramMedia Can you please let us know the name and artist of the song? It's beautiful! @mtbnz118 tried before I posted the comment. Doesn't work with that or Soundhound. Paperchaser: Hometown Hero, checked out the people who work the sound for SRAM media, but I am into calming music while climbing big walls to building trails to slaming down a double black diamond run. Enjoy my friend. @MadRock74 Thank you so much! 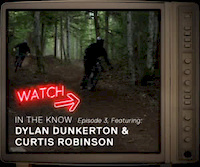 This is the only mountain bike video that's put a smile on my face by not riding off some huge cliff or massive stunt. This video is incredible. that was positively one of the best videos I have ever seen on PB - it seems to have really struck some deep meaning to some on this thread and kudos to you guys that have had struggles.... biking has made my life better for sure! What I like best about this video, is the sound of the tires rolling on the dirt and the hubs buzzing in the background... it made me want to be on the trail early in the morning, out there with my thoughts and some buds. Great job! woah that was a weird feeling... i just sat and watched, smiling, then hit replay about 4x. Simply perfection. There is no way to describe the feeling of flying down a mountain on a downhill bike, that empty space were it's only you, the mountain, and the bike! I think this is the closest you'll ever get a description!! As Shaun Palmer said in Won't Back Down; "[....]We live more than any rich yacht owning motherf*cker could ever live in his life! [......] There is no f*cking drug in the world giving you a high like that.. and I've done alot.. of drugs[...]!" So good! Love the calmness of the piano in the background. This is exactly what riding means to me. Made me feel like the first time i watched The Collective. Best video i have seen in a very long time. The riding, music, location, it all just fits. VOD !! or even VOY. INCREDIBLE! Simplicity is beauty - These guys made this riding look so effortless and easy, delivered with simple music it was beautiful. wow, I need to watch this again and again. I always see "Feat and "ft" in songs and videos! Who is He/ She, some sort of music artist or athlete??? now thats what i call perfection! gave me goove bumps! Cant believe nobody has said this, this video seriously deserves VOD! Did you guys stay speechless when it ended ? I hope your park isn't as lonely as you depict. Makes me want to ride.....and that's what it's all about ! What frame is this? Many thanks. is that a specialized enduro with boxxers? Cannot believe how good that video is. Truly an incredible job!! I can say with confidence this is the best bike video I've ever seen! Specialized Enduro with a dual crown fork on it???? Did they put a gravity fork on a specialized enduro? Specialized enduro with a DH fork? COOL! Norbs, WTF ?? Where are you? are those specialized enduro with a dh fork? The riding sick but the music is so gay! I think the only way to make that Enduro cooler would be to make it a twenty-niner.